Clayton Palms Community is a nestled in the rolling hills along Marsh Creek. Explore the secluded scenery offering hiking, biking, horseback riding and much more. 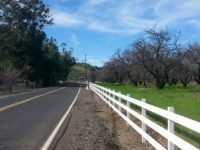 Mount Diablo State Park is a must see for all your outdoor activities. Just 15 minutes from Brentwood and Antioch. Running into town is a breeze as you drive through the local farms and olive oil vineyards. 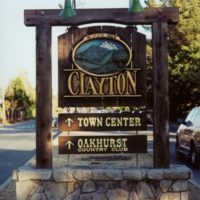 Take a stroll through the historic streets in the city of Clayton just 20 minutes west of the property. Clayton Palms Community is an all-age community. Many community amenities have undergone extensive remolding to make the park a more beautiful place to live. The community offers a luxurious pool and lounging area, fun for the whole family. 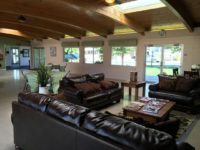 The community clubhouse is complete with pool table, entertaining/event area, sitting area with fireplace, full kitchen, game room with ping pong table and restrooms. The clubhouse can be reserved by residents for parties and events. Come work out in our fitness center complete with air conditioning and TV. Just outside the clubhouse you will find the new playground that has been shaded with solar panels. The North side of the community has open field overlooking the creek. This Northern area features a soccer field, single court basketball, picnic area, and fenced dog park. Clayton Palms Community is proudly managed by Palms Property Management, Inc. Our main objective is to provide luxury living to our residents. We strive for the highest quality of customer service. Our onsite staff is friendly, knowledgeable, and there to help you. We welcome you to visit our community and check out the new and improved Clayton Palms! Other communities managed by Palms Property Management.